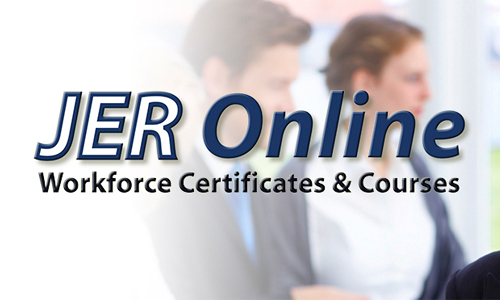 JER Online lists over 1000+, cost affordable, non-credit Continuing Workforce Courses and Certificates. No ordinary courses – JER Online courses and certificates are industry developed. They are cost affordable. This means that you are going to have access to the same e-learning that business and industry uses for their employee training.